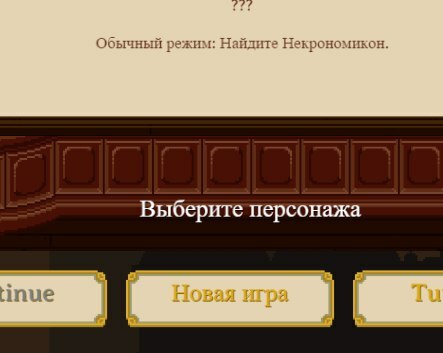 I'm happy to announce, that users from most active russian game-translation community "Zone of Games" started collective translation of Curious Expedition. All progress can be viewed hereand here. Fantastic! Let me know if you need any support from my side. We've checked Russian text into the game. 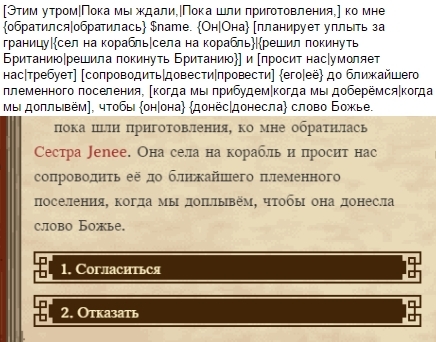 0wn3df1x wrote: We've checked Russian text into the game. Stunning! I didn't even know the Font supports that. Johannes.K wrote: Stunning! I didn't even know the Font supports that. Unfortunately, at this moment I am translating the game alone. 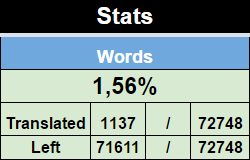 I hope somebody will join me and translation will go faster. Translation into Russian is a very hard process itself, mainly because in Russian grammar a word can change depending in the gender. Slowly but surely, work is going on. BearOnFire joined me, but we still need some more translators. What about explorers and other characters names translation? Can this be realised? Hey, we're currently looking into it. It will certainly require additional work from our side. My recommendation for now would be translate everything you can, we'll try to deliver the option to translate names in a future update. Johannes.K wrote: Hey, we're currently looking into it. It will certainly require additional work from our side. My recommendation for now would be translate everything you can, we'll try to deliver the option to translate names in a future update. 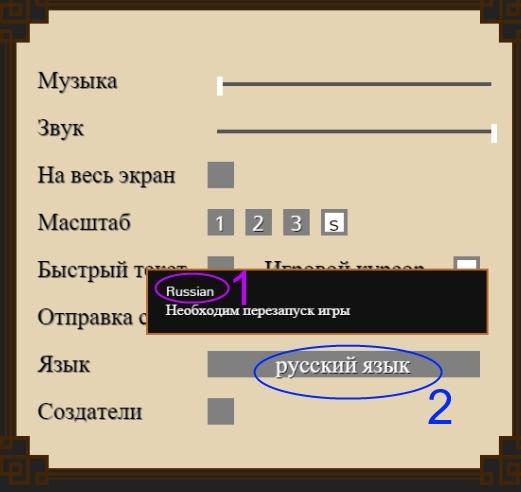 1) "Russian" should be replaced by "Русский"
2) "русский язык" should be replaced by "Русский"
Hi. I need some tips. I was faced with the problem that due to differences of languages the phrase can be translated without change. $He [seemed | looked | was] [fierce | dangerous | wild] [and | but] [swift | lovable | stoic | clever | healthy | robust | large | tame], and I decided to [name | call] $him $name. The problem is that Russian grammar doesn't allow to use literal translation "was". Is it possible to remove it and leave only the two words? P.S. Sorry for this horrible English. I only understand it well, but write badly. EkemRoht wrote: Hi. I need some tips. I was faced with the problem that due to differences of languages the phrase can be translated without change. Hello there! Don't worry about your english, I think I got what you mean. If I understand your example correctly there should be no problem in leaving out the "was" variation within the block. If you come across more of these situation feel free to adjust or leave out parts of the text so it fits to your language. Above all this is not about being 100% exact in translation but about recreating the general tone and story in your language. Thanks a lot for your efforts!